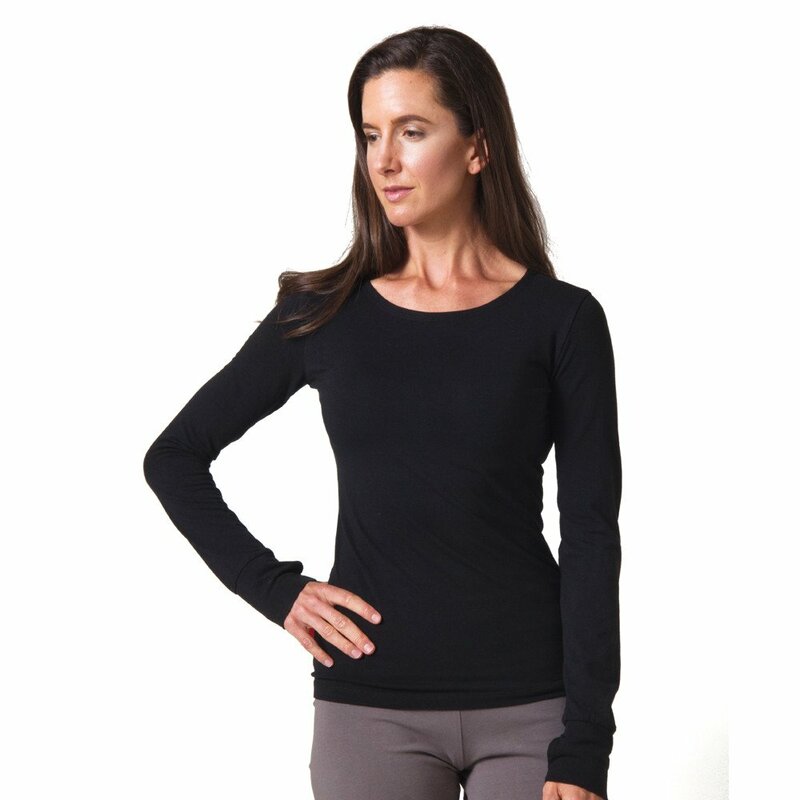 Our flattering Strength Long Sleeve T-shirt now comes in beautifully soft rayon from bamboo, cotton and lycra fabric. 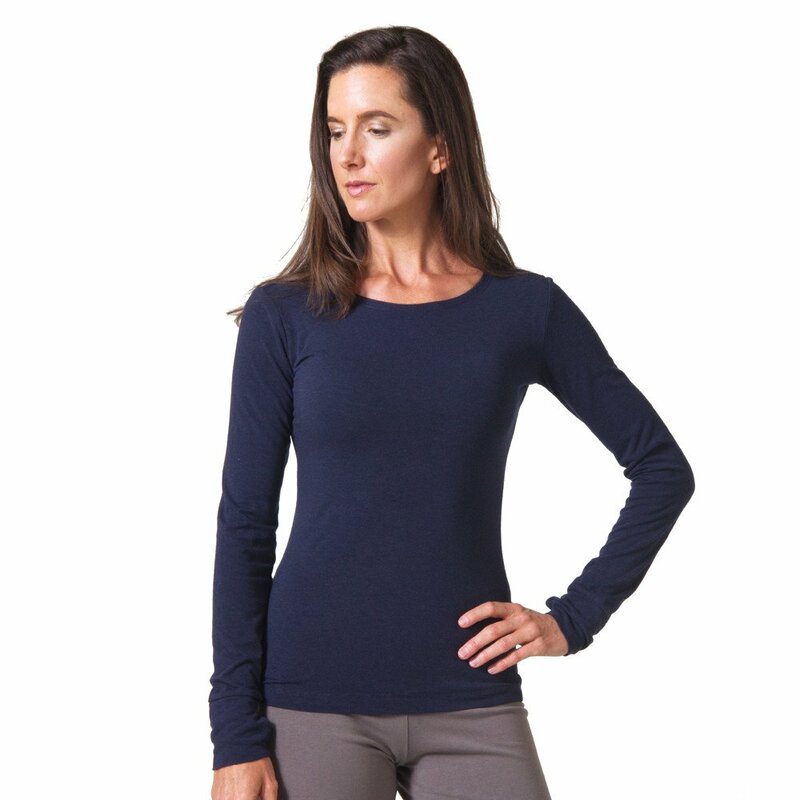 The bamboo offers unique quick-dry, anti-microbial moisture management capabilities. 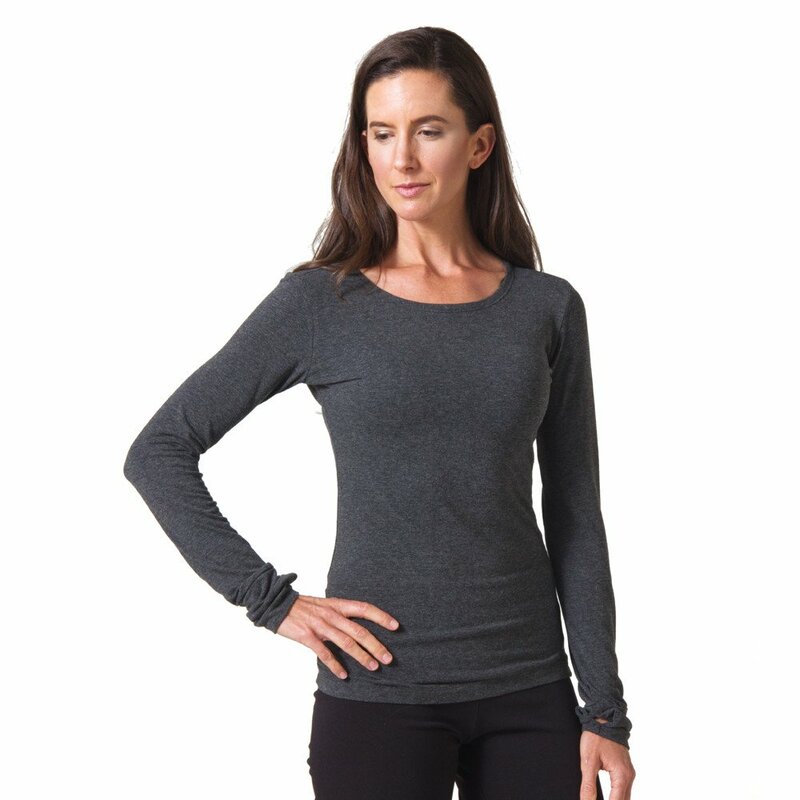 It is lightweight, has generously long sleeves with thumbholes and is fitted. 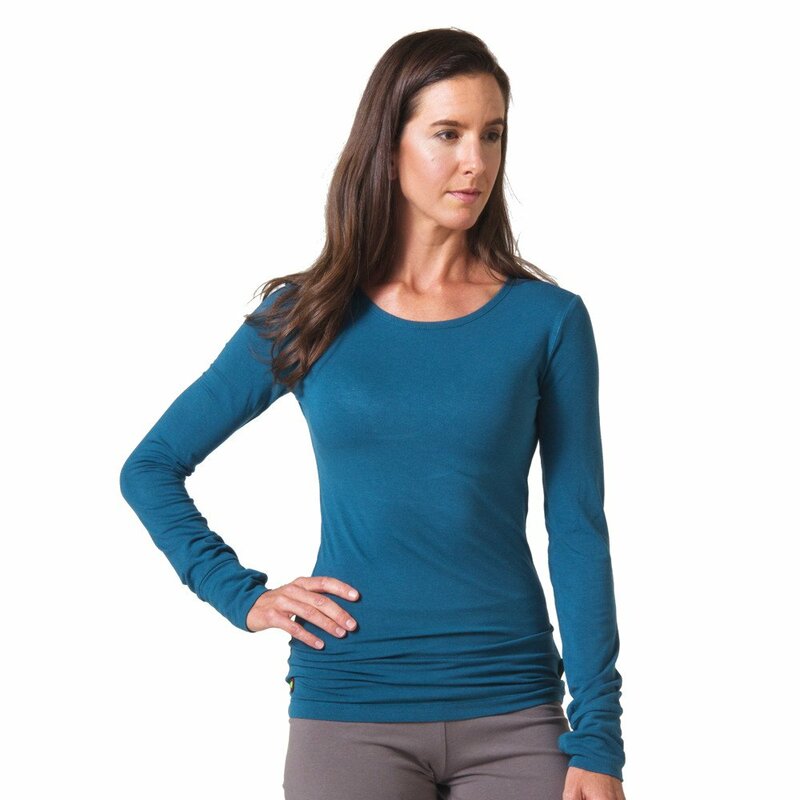 This is a great layering piece under scratchy sweaters. Fabric: 66% bamboo, 28% cotton, 6% Lycra.